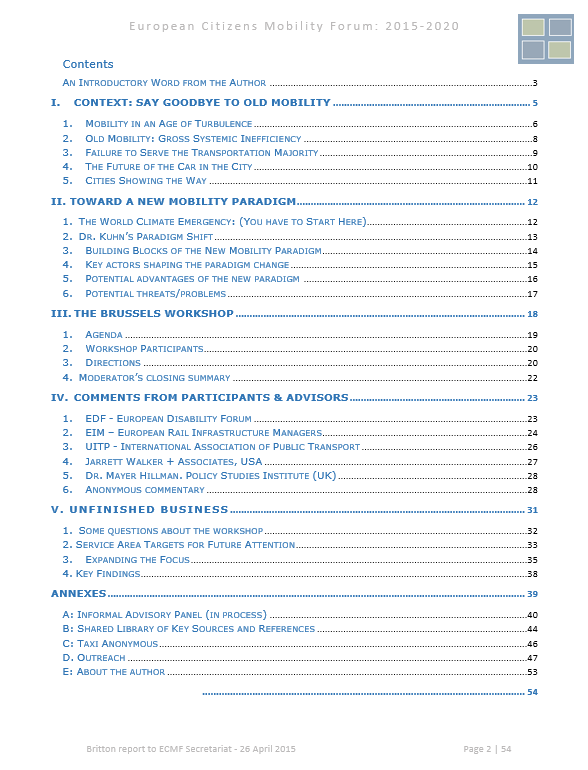 One of the great recompenses of having watched the sustainable transportation and related technology developments evolve over the course of several decades, is that if one takes the time to step back and scan the evidence for pattern breaks, one can readily spot a certain number of fundamental structural changes, quite a few of which bode well for a different and better future for transport in and around cities. 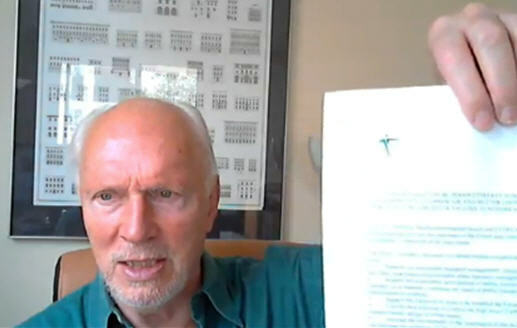 Here are a handful of the fundamental underlying changes which I have spotted over the last decades and which I would like to share with you this morning. Cities rule: When it comes to the challenges of sustainable transportation and sustainable development more generally, it has to be said that international organizations have not played a major transformative role over these last decades. Nor, with very few exceptions, have great breakthroughs been made at the national level. The laboratories of the future, the examples of success, are by and large coming from our cities. And fortunately this trend continues to increase. IQ/Competence: This observation may not be very well received in all quarters, but I can attest from my own experience that it holds. Back when the challenges which still trouble us to this day were first surfacing, the level of competence of the professionals and the politicians in the sector was altogether inadequate for the task. To be brutal, mediocrity coupled with a notable absence of intellectual curiosity ruled. People were applying what they learned in school, more often than not under an entirely different and already outmoded paradigm. The results, or rather the lack of them, demonstrated this unpleasant reality quite nicely, though fortunately with exceptions. Today the field of sustainable transport and sustainable cities is attracting some of the brightest young people around, and the programs of our universities are contributing both to enticing bright young people to come into the field and providing them with the education needed so that they can deal with these complex problems and with 21st century attitudes and tools. It is making all the difference in the world. New Skills: The skill set of cities and programs leading the way are being greatly expanded to bring into the planning, policy and implementation process awareness and competence in understanding: planetary and environmental impacts, land use planning, time management, spatial impacts, information and communication technologies, public health, social sciences, behavioral psychology, job creation, community relations, vulnerable populations, aging society, noise and air pollution impacts, private sector participation, political science, with far more attention to economic incentives and instruments that can be important change agents. As a result we are now in a position to see more and look deeper, which leads to quite different patterns and performance. Women: This is fundamental and you either get it or you don’t. Our field is being totally and dramatically transformed because, unlike when I first began to work in the sector bac in the seventies, there are today many more women, capable women, working in, competing in and individually and collectively redefining the field through their competence and vision. Because of the realities of day to day life, they bring other, often broader experience and values to the decision table. Based on my international experience the world of sustainable cities today divides quite neatly into two distinct parts. If you go into a city and see that all or most of the key positions are occupied by men, you are in a backward blighted world. If the city is doing well, you are for sure going to see lots of women in leadership positions, competent professionals with a wider range of technical skills along with different ways of negotiating change. Welcome to the future of sustainable development. Points of Light: Today an increasing web of activist groups, NGOs, professional associations, user groups, environmentalists, radical professionals, concerned parents, teachers, independent researchers, investigative reporters, bloggers, social media, and sentinels of democracy . . . provide an increasingly lively (but not always sufficient) check on inertia, geography, narrow interests, lobbies and bad government. Offering invaluable, visible, vocal, accessible partners of the public interest and good governance. Deep democracy. Hot Links: One of the most significant developments of these last several decades, is that we, that is all of us in various corners of the world who are concerned with these issues, are increasingly linked together and opening up and sharing the results of our work, resources and learning. We have learned, at some cost, that these are not challenges that can be dealt with on a piecemeal basis and under the banner of a single entity. Technology is of course an important part of this, but there has also been a significant shift in attitudes and willingness to communicate and share. Examples of Excellence: There are many more and a much greater variety of proven outstanding practices in the sector, which are not only advancing in terms of their number and quality but also their visibility. The bottom line here is that if your city and those who influence policy are at all serious about making affordable near-term improvements in your mobility mix, there are a growing number of places to look for successful real-world examples. And moreover they are increasingly easy to find. Patterns of Excellence: One of the vital things that we learn as we study the paths by which different cities are arriving at a more harmonious and efficient mobility mix is that they all invariably have to find their own way. One size, one pattern very definitely doe not fit all. Beyond this there is inevitably a certain amount of stop and start as some aspects of policy work well from the beginning while others have to be relentlessly fine-tuned and eventually even rejected in order to get the overall mix right. And part of this pattern of excellence has to do with clarity of vision, the tenacity before the challenges and continuity of policy; if even one of these essential qualities are missing progress in your city is at best going to be much slower and disappointing. And this can lead to a rapid sliding back to the old and inefficient way of doing things. Emulation as Strategy: Very often the most effective mechanism of transitioning a good idea or practice from one city to another is that of emulation. And if we take a close look at our dictionary, we are reminded that when City B emulates something that City A has done, the goal is not only to imitate or equal A, but to strive to excel. In the 21st century cities compete. Thus we are talking about a healthy competitive environment for new ideas and practices. And a city cannot compete in this hothouse environment is it is lumbered with an inefficient, unpleasant, inequitable 20th century transport system. Patterns of mediocrity (and worse): What never ceases to amaze me is the extent to which the many and worst practices of continue to persist in cities around the world today despite the very large number of examples to the contrary. The outright wrongheadedness is extraordinary and in a rational world would be quite unbelievable. Why do these unnecessarily destructive patterns persist? If I choose a single word I would say culture — and beyond that the culture of self-interest, arrogance, indifference, ignorance, laziness, pride, divisiveness, isolated decision-making, lack of consultation, intimidation, fatalism and corruption. And if you scratch the surface in these cities you will also find a pervasive lack of intellectual curiosity. But increasingly it is clear that this is a losing strategy, however we would be naïve to underestimate its tenacity and appeal. This is a war which has yet to be won. Shades of Grey; There are to the best of my knowledge — and this is nothing more than a crude back of the envelope guess — on the order of the few hundred cities around the world (most of which in Europe) which are already well along in the process of managing the transition from old to new mobility. None of them is perfect, they all have their downsides — and if you need confirmation of the weak points we can recommend that you get in touch with the people in that city and you will see that they are abundantly aware of the realities and shortcomings (but that clear thinking is part of their particular genius). And even when we look at the best we see that there are considerable numbers of issues which have yet to be sorted out to move to the vision which has now taken hold and is largely shared in that place. There is no single path and in every case managing the transition is a difficult and challenging task. Culture Change: An increasingly large number of people and places are beginning to think about their daily choices, actions and environment in new and very different ways. As an example, we’re in the process of moving from what used to be an unquestioned and unquestioning car culture (one with values built on ownership, space, speed, discrimination, isolation and a certain separation from and indifference to others) to a culture which emphasizes social and environmental awareness, human contact, proximity, neighborliness, equity, and quality of life. While this transition is still in progress and very much a minority thus far, it gains in strength every day as new cities and better policies and practices are put into place. Civil Society: Back in the 70s and 80s these “external” individuals, institutions and groupings had little real influence on transport policy and practice. There were attempts, most of which half-hearted and not very inventive, to bring other views and perspectives into the decision process, but in very few cases this actually influence the outcome. (Again fortunately there were exceptions, these exceptions constituted a fundamental part of the ongoing learning process.) Civil society today is the truest test of democracy: the strong voice and active presence of participatory citizenry. Society’s necessary check, balance, and vital complement to political parties, elections and fixed terms in office. The underlying and defining reality is that civil society is, by its very nature, in more or less permanent conflict, or at least dissonance, with elected governments and administration: Different attention span. Different values. Different rewards. Politics: It has taken a very long time but if we look around the world map of cities today we can see a substantially growing number of politicians and officeholders who are coming to understand that creating better and more efficient cities and mobility systems for all classes of society is not only a noble target for their legacy in the long term, but also a key to gaining and staying in office. In short, leading the transition to sustainable mobility is excellent politics. 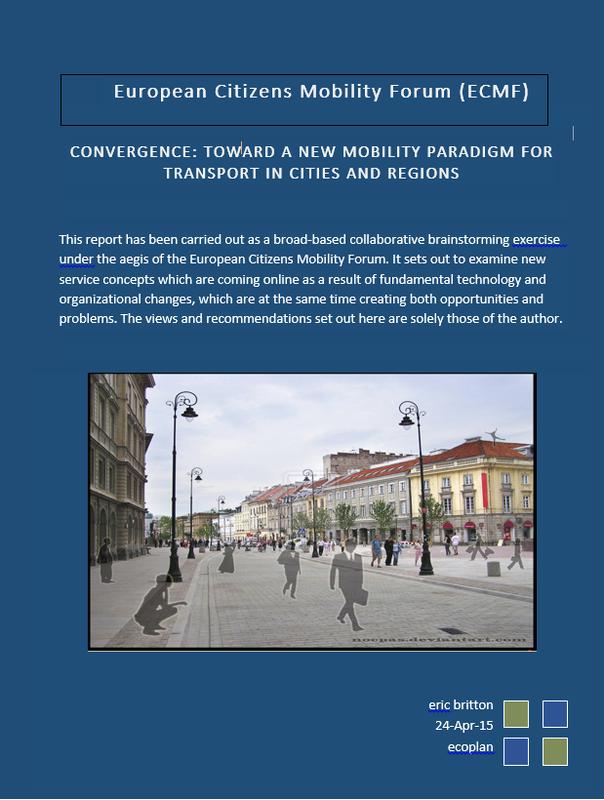 * I would invite your comments, questions and critical remarks on this short essay, which will probably in some form find its place in the supporting documentation under development in the ongoing European Citizens Mobility Forum. This entry was posted in Uncategorized and tagged Civil Society, Strategies, World Streets. Bookmark the permalink.